Crossed Fingers by Gary North is the first book to identify and discuss in detail the five points of liberalism and the rival theological positions. It is also the first published book that “follows the money” by tracing the sources of the funding of theological liberalism in twentieth-century America. One man, more than any other, was the primary source: John D. Rockefeller, Jr. Crossed Fingers serves as a handbook for the diagnosis and defeat of the same liberal forces that have captured American Christianity. How did they do it? With a vision, with a plan, and with other people’s money. 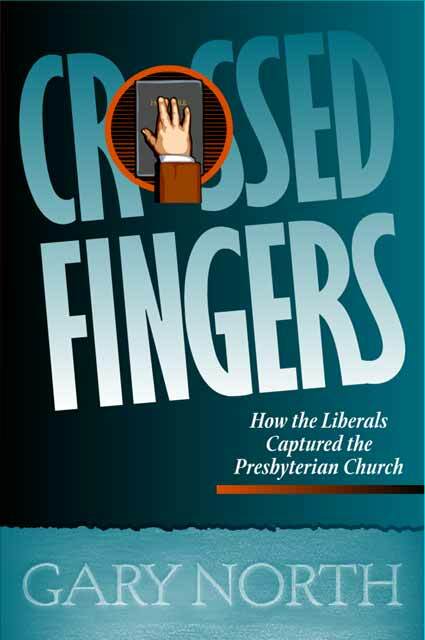 Crossed Fingers shows how they achieved victory in what had been the most theologically conservative large Protestant denomination on earth. It also shows what the conservative Presbyterians could have done, and still have not done, to immunize the Church.